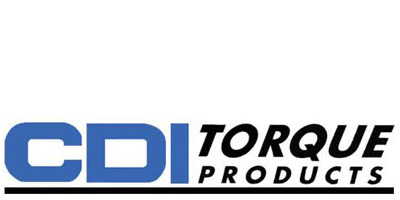 CDI was founded in 1968 and over the years has developed into a world class torque products manufacturing company. The company earned its ISO 9001 International Quality System Certification in 1998, demonstrating a commitment to provide our customers with the highest quality torque measurement and torque limiting devices in the world. Today, the CDI Brand is now part of Snap-on Specialty Tools a unique member of the Snap-on Incorporated family of companies and responsible for ATI Tools brand. Specialty Tools manufacturers products for other Snap-on business and select OEM and Industrial customers world-wide. CDI is the primary supplier of torque wrenches and torque screwdrivers to the GSA (General Service Administration of the U.S. Government) since 1968. All CDI products are individually serialized and meet or exceed appropriate ASME and ISO standards. CDI’s mechanical torque product lines include click type torque wrenches, dial indicating torque wrenches, torque limiting screwdrivers and a number of special application torque products. CDI has long been a major innovator and leader in electronic torque measurement and torque calibration equipment. We manufacture more electronic torque wrenches than any other company and are a recognized leader in electronic torque testing and calibration equipment. We work with our customers to develop the tools they need to solve torque-related problems. CDI’s mission is to remain the world’s largest developer and supplier of quality torque tools, torque testing equipment and calibration services. All Snap-on Specialty Tools employees recognize the importance of our customers’ satisfaction with our products and services. We have a full time Product Development Team dedicated to develop and deliver innovative new torque products.